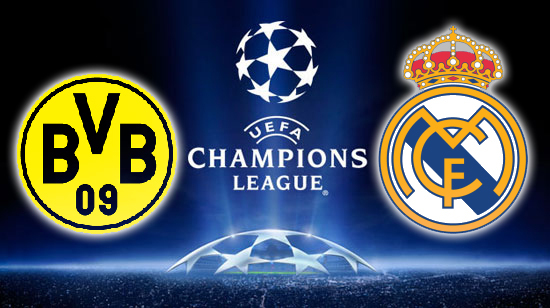 Champions League preview: Possible Lineups, Team News, Stats – Dortmund vs Real Madrid. Referee: Mark Clattenburg (England), Venue: Signal Iduna Park. Champions League brings big game tonight between Borussia Dortmund and Real Madrid at Signal Iduna Park. Thomas Tuchel may continue without forward Andre Schurrle who is unlikely to return tonight. Erik Durm, Sven Bender, Neven Subotic and Marco Reus are on the sideline through injury. Christian Pulisic is likely to start this game ahead of Mario Gotze. Zinedine Zidane is without duo Casemiro and Marcelo due to injury. While the rest squad is fully fit to feature. Goalkeeper Keylor Navas returned last weekend and is expected to start tonight’s game. Marco Asensio, James Rodriguez, Mateo Kovacic and Isco are all in the queue to get the midfield role. Fábio Coentrão has returned but is not expected to feature, Nacho is likely to continue on the left-back role. Dortmund have won three of their last six games against Real Madrid. Real Madrid have lost their last three away games against Dortmund in all campaigns, conceding more than a goal in each game. Real Madrid are unbeaten in 14 of their last 15 Champions League games. Dortmund 1 – 1 Real Madrid, Karim Benzema to score for the visitors.